Seagate today announced the availability of the Barracuda® Green hard drive, the industry's highest performance eco-friendly 3.5-inch desktop drive for low-power personal computers, multi-drive home networking systems and external PC storage. The Barracuda Green hard drive, formerly Barracuda® LP, combines the industry's highest spin speed (5900 RPM) with Seagate's SmartAlign™ technology to deliver best-in-class performance. SmartAlign technology enables all the benefits of the new 4K sector standard while simplifying drive installation by eliminating the need for utilities often required to ensure optimum drive performance. The cool-running, lower-power Barracuda Green hard drive delivers whisper-quiet acoustics and helps reduce system costs associated with the fans and power supply devices often required for power-hungry systems. • 70 percent or more of the materials used to build the drive can be recycled. • All Barracuda Green drives use low halogen components to reduce the negative environmental impacts related to these substances. • Barracuda Green is designed and built to the highest environmental standards. 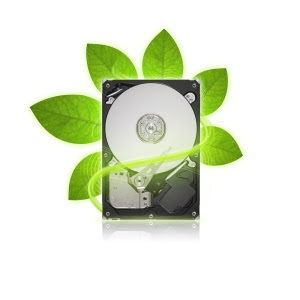 "Not only do Barracuda® Green drives offer environmental improvements in power consumption and material usage, but these drives are also among the first hard drives from Seagate to offer SmartAlign™ technology," said Dave Mosley, Seagate executive vice president of Sales, Marketing and Product Line Management. "This is important because the industry is transitioning to 4K sector formatting called Advanced Format to improve capacities and maintain strong error correction. However, the transition to Advanced Format without SmartAlign™ technology can be complex and require additional integration steps and software utilities to avoid performance degradation. SmartAlign technology removes these concerns and makes this transition virtually invisible for our customers." The Barracuda Green hard drive, offered in capacities of 2TB, 1.5TB and 1TB, is now shipping to the worldwide distribution channel.